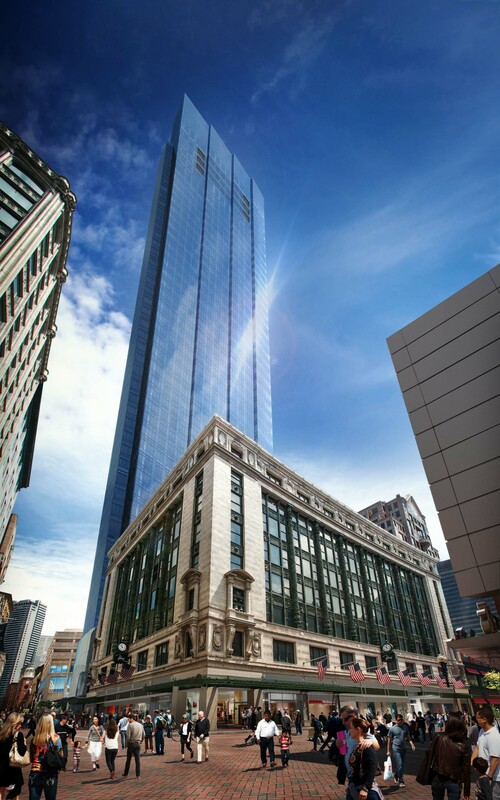 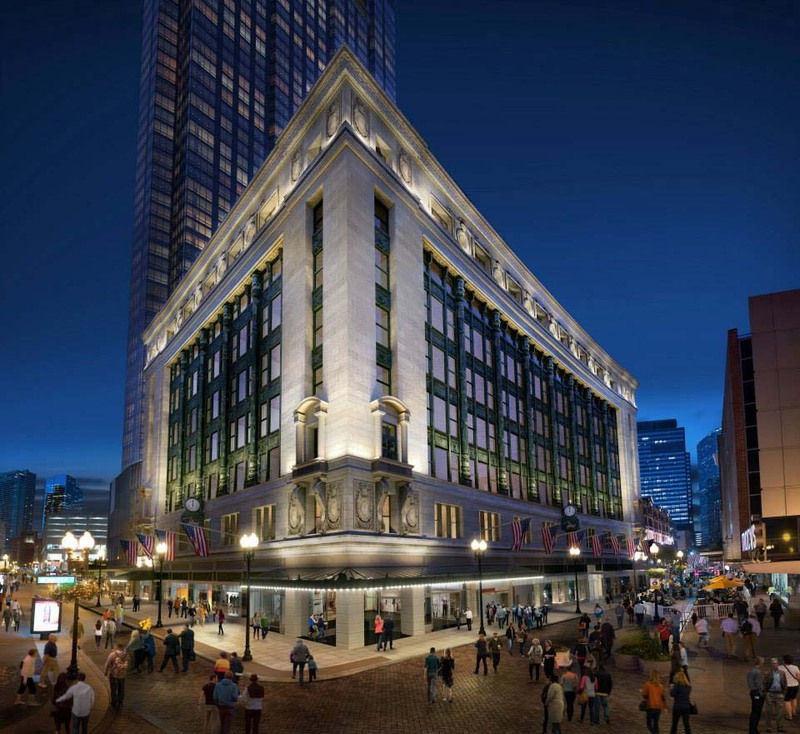 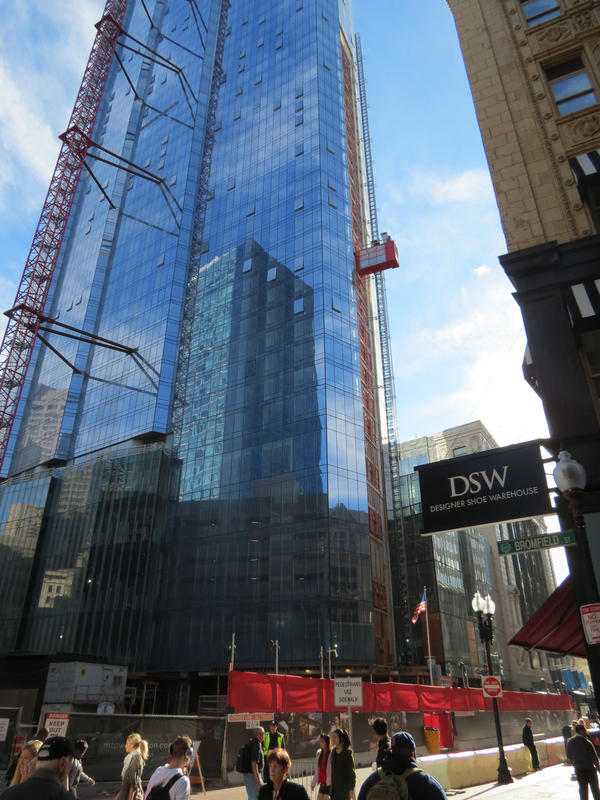 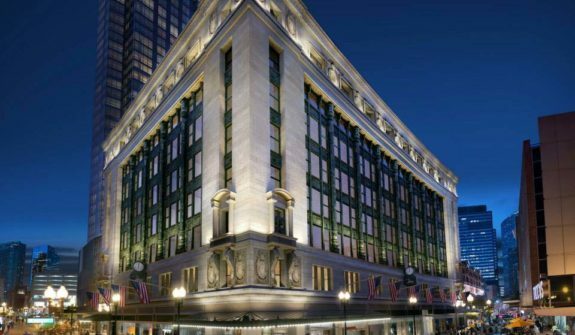 The Millennium Tower and Burnham Building Redevelopment project is viewed as a crowning achievement in the rebirth of Downtown Crossing. 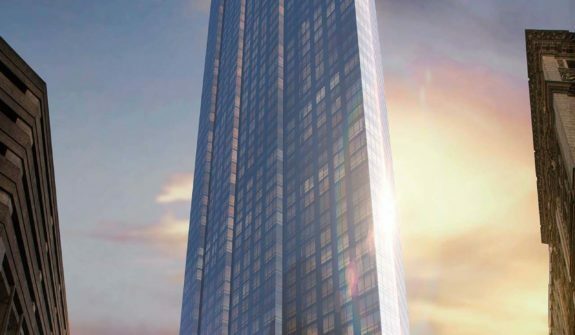 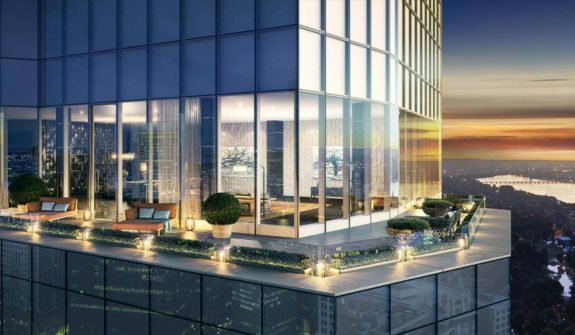 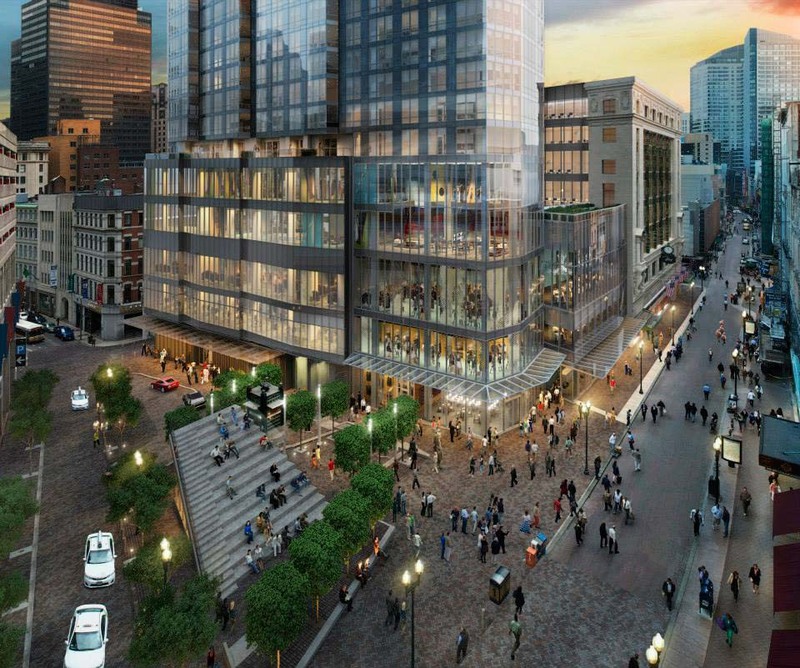 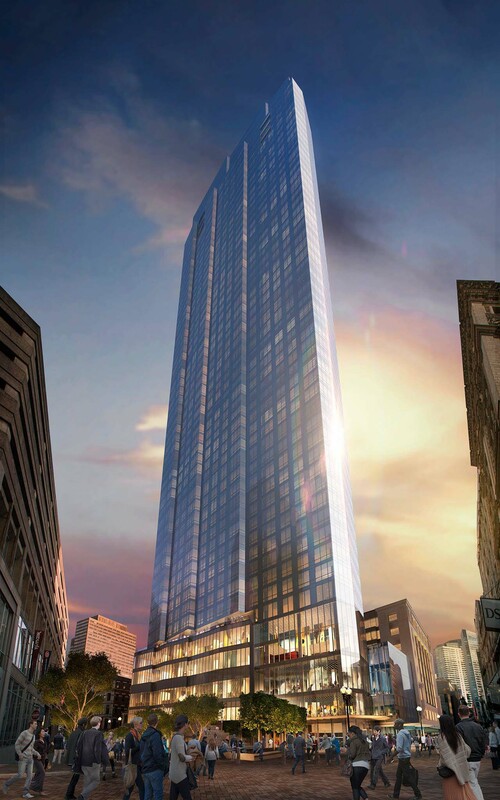 Occupying the open space will be a 60-story glass tower featuring luxury condominiums, office space, and retail space occupied by Primark clothing shop and Roche Bros. grocery chain. 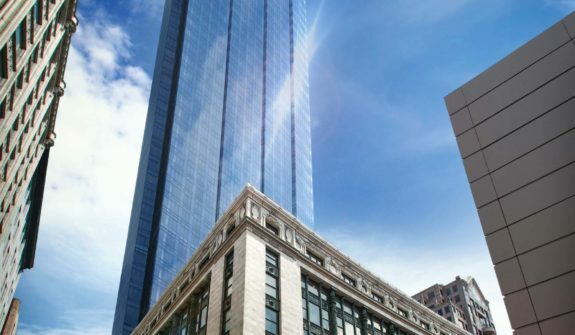 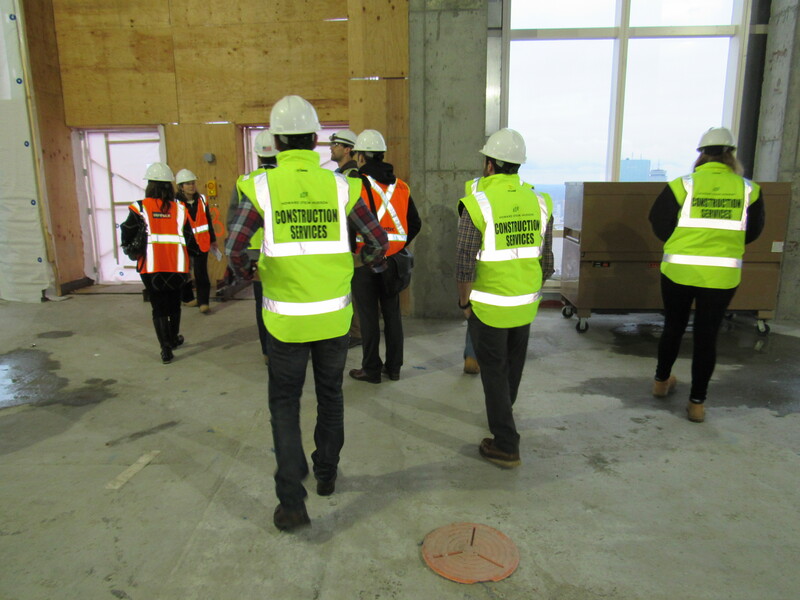 HSH is the transportation planning and traffic engineering consultant for the design, permitting, and construction of Millennium Partners’ Millennium Tower-Burnham Building. 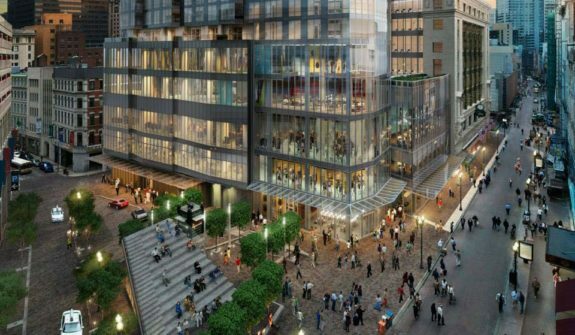 We helped push this project forward by assessing and resolving issues related to parking management, loading and building servicing, pedestrian accommodations, traffic circulation, and maintenance of traffic and pedestrian safety during construction. 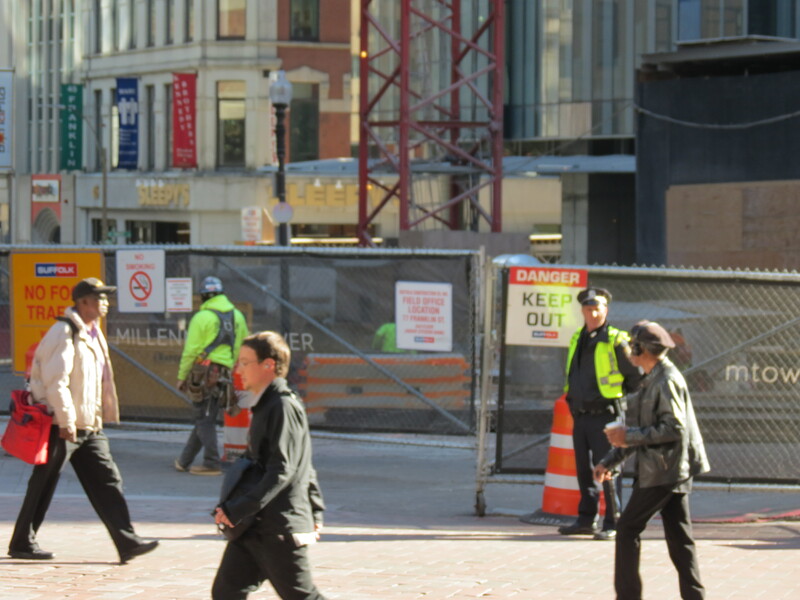 We also developed conceptual designs for roadway, sidewalk, and bicycle accommodation improvements to Franklin Street between Devonshire and Hawley Streets. 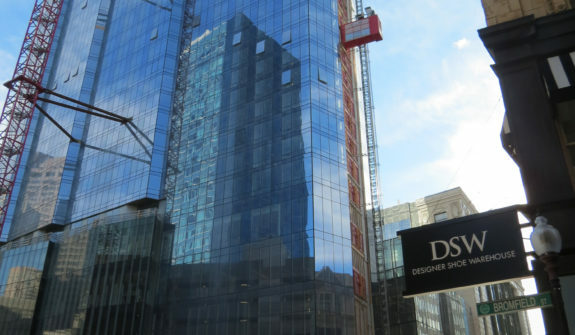 HSH’s Construction Services group also worked hand-in-hand with Suffolk Construction to aid in the construction of this challenging project on the former Filene’s site. 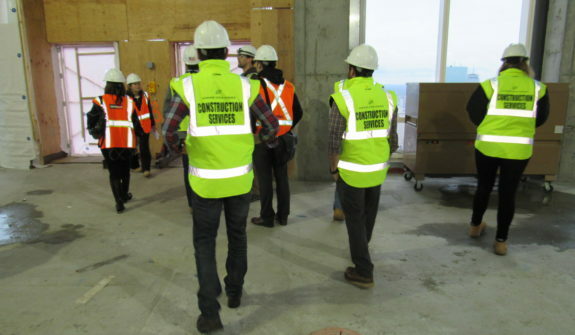 With half an acre of laydown area, managing the logistics of construction vehicles, supplies, and services was a high priority. 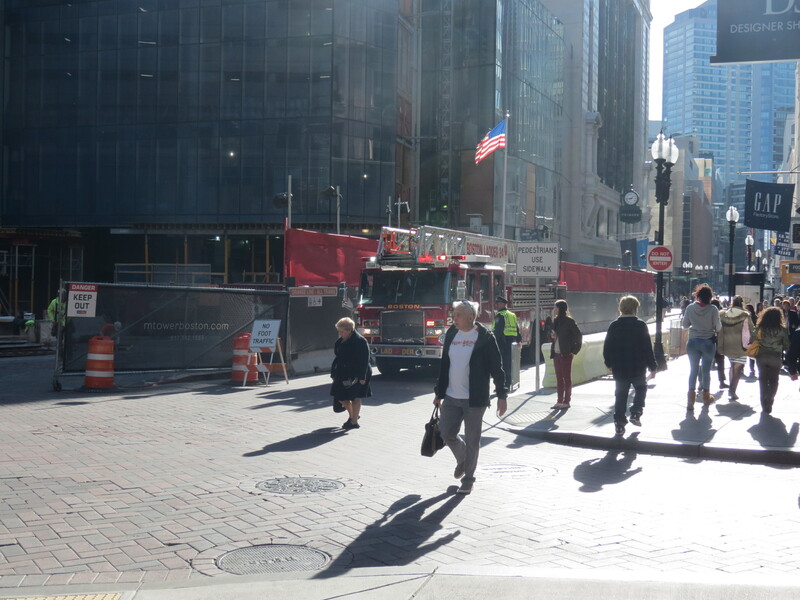 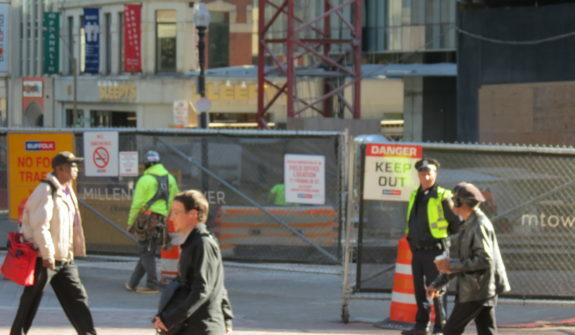 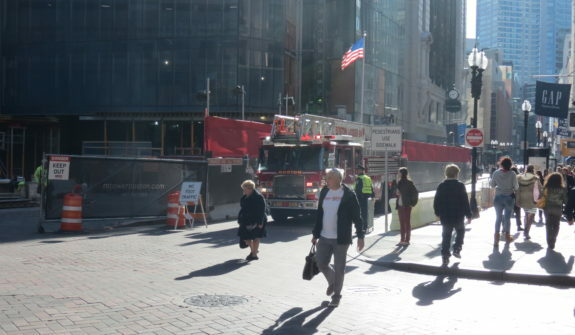 HSH facilitated periodic closures of city streets; relocated MBTA facilities; designed work zone safety elements for high pedestrian areas; and prepared site safety plans in collaboration with the Boston Fire Department, including standpipe locations, evacuation plans, and muster areas.